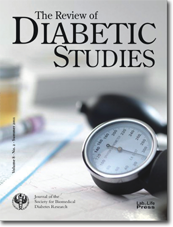 The RDS welcomes unsolicited original manuscripts on diabetes-related biomedical research, which are considered for publication. The manuscripts must not be published or be under consideration for publication elsewhere. Contributions may address various scientific purposes from different areas, such as elementary laboratory methods, specific findings, or clinical investigations, and can vary from basic to applicable research. In particular, authors are encouraged to submit manuscripts corresponding or related to the RDS's major subject fields. Before submitting manuscripts authors should read the manuscript preparation information and RDS publication and submission principles. Submissions may also be carried out using the electronic submission form. Instructions can be found here.